If you are reading this, you probably have been thinking about marketing your product and service to growing immigrant communities in Canada and the US. That’s where we sharpen the image. For over 15 years, our team has connected North America’s largest brands to consumers in rapidly growing immigrant markets. We work across all media platforms: print, radio, web, TV and we understand the cultural sensitivities of these markets. Sunflower Media maintains an up-to-date media database for ethnic media outlets, influencers, social channels, websites, podcasts, and more – there are thousands in North America and across various languages. 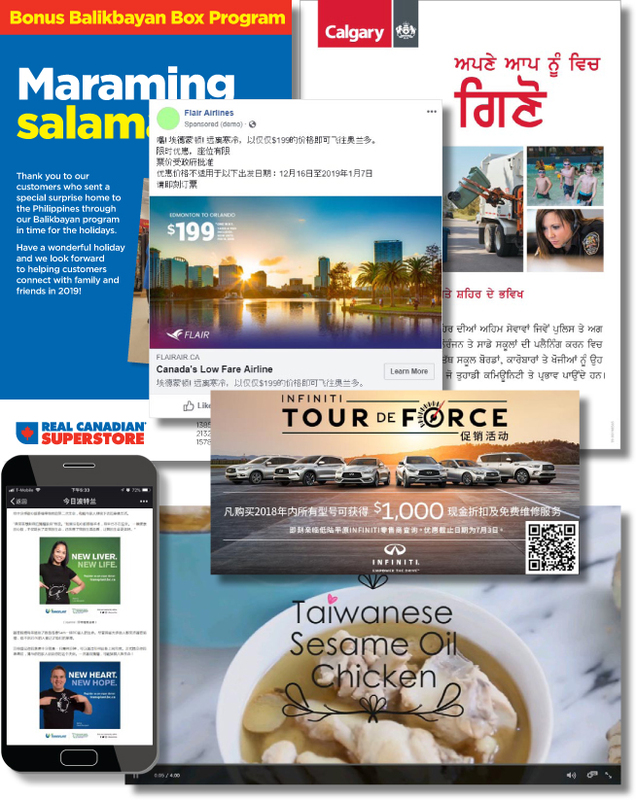 This current information is vital to maximising your ROI, whether you are booking print ads for the Chinese market in Vancouver and Seattle or executing a digital campaign in Gujarati, Tamil, Hindi, and Punjabi for the South Asian market in Toronto. Ethnic markets are not homogeneous. There is as much difference within the South Asian diaspora, for example, as there is between the South Asian and Chinese communities. Ethnic markets also pose the challenge of understanding their political and religious sensitivities. A great tagline in English may be meaningless, confusing, or even offensive in another language. We fill in the gaps. Our services range from ethnic media buying to strategy to execution & reporting, thus saving you time, money, and costly errors. Let’s chat further – contact us.